Geography is destiny. At Narrative Night 2012 in San Francisco, Abraham Verghese read from his New York Times best-selling novel, Cutting for Stone, and talked about his beginnings, his life as a doctor, his genesis as a writer, and the fateful connections between life and art. 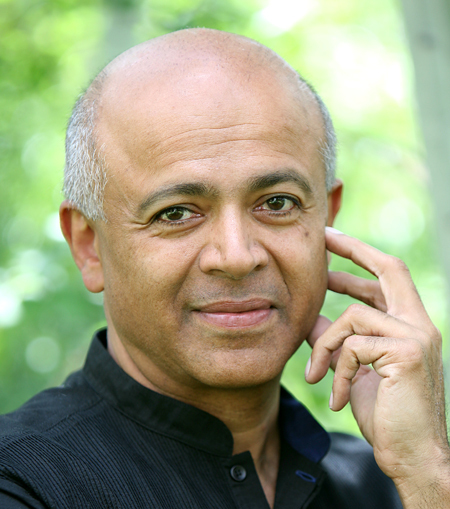 Abraham Verghese is the author of My Own Country, a finalist for the 1994 National Book Critics Circle Award; The Tennis Partner, a New York Times Notable Book; and the novel Cutting for Stone, which has spent years as a New York Times bestseller. Dr. Verghese serves as senior associate chair and professor for the theory and practice of medicine at the Stanford School of Medicine and is board certified in internal medicine, pulmonary diseases, and infectious diseases. He received his MFA at the Iowa Writers’ Workshop in 1991.